For me, the Sisters of Mercy are one of THE goth bands, and it makes me chuckle inwardly when Eldritch, and Pete Murphy, try and distance themselves from a sound and an image they went to painstaking lengths to define and craft. The Reptile House EP is a moody slab of uber-goth and is probably the crystallisation of Eldritch’s vision (the EP is allegedly pretty much an Eldritch solo work) and, being pre-Hussey, has no light side… in fact there is no glimmer of light in any of the 25 minutes – and it’s the better for it. You do realise, don’t you, that goth came from punk? If you were transported back to 1984 you wouldn’t recognise the goths. And they’d laugh at you. Particularly if you told them how everyone would revere the Sisters as the One True Goth Band. This isn’t an origin story. This isn’t the first record I ever bought (it’s actually a couple of years older than I am, for one thing), not is it the first thing I ever heard by Leeds’ finest export. This is not the “I heard this for the first time and it totally blew my mind” post. This is the “I heard this for the first time and it made up my mind” post. The Reptile House EP turned me from an owns-a-couple-of-albums-but-listens-to-whatever’s-on-the-radio-as-background-noise kid who resented having spent seven years pretending to learn t’piano into someone who actually gave two shits about music. This wasn’t something you could tune out. This slithered through your consciousness and dragged you down into some murky, sludgy part of yourself you hadn’t even known was there. First time round it’s the sheer intensity of the sound and imagery that get you. The exquisite, harsh precision of mechanised percussion, obviously; Craig Adams’ ponderous, inescapable bass-lines; and Gary Marx’s forlorn guitar, which doesn’t so much weep as scratch and scrape against the grimy glass walls of the Reptile House, striving to score its way through by sheer insistence, before it peels off into the depths in surrender and leave one Mr. Andrew Eldritch to explain the situation. My man-crush on Eldritch has been going strong for well over a decade now, and is in no danger of abating, but I’ll try to keep it in check and make some effort at justifying the state of affairs. The Reptile House is Eldritch at his most gothic – and by that I mean ‘of or relating to a style of fiction characterized by the use of desolate or remote settings and macabre, mysterious, or violent incidents’, because of course, this man is not a goth. Goths do really like him though, and it’s not hard to see why. On the immediate and superficial level, there’s the verbal sketching of the Sisters’ live show – lights, colours, fog, a kind of void in which sensations are graciously permitted to have their day – and the chief among them are fear and anger, looming out in acts and references. The Reptile House is full of insidious clamminess, hot metal and cold sweat, oppression and aggression, bursting out in these snapshots of pain and rage and murder. Growing up as a predestined English student, for whom all events are omens and nothing is to be taken literally, I found the Reptile House a gift that kept on giving, beyond the erudition and the technical proficiency, the quotes from T. S. Eliot, the sly rhymes and the expertly broken hanging lines. Eldritch’s motives are right there; the timing of ‘Valentine’ around a Royal Wedding and the Falklands War is no accident, nor’s the imagery of famine abroad and television-glutted personnel at home. ‘Fix’ follows – a savage and ironic cry for help before the final act of self-destruction. Teach me to accept what you’re doing. Help me learn to love Big Brother. It’s a sneering plea that Eldritch doesn’t want answered; ‘Burn’ sounds like an incitement to revolution, or self-destruction: change yourself to suit the world or vice versa, but either way, nothing’s going to be the same after this – and then there’s the final refrain, the hissing reprise of the opening ‘Kiss the Carpet’ as the Reptile eats its own tail and brings us back to where we came in. The ‘punk became goth’ argument doesn’t always hold true, but here I think it’s apparent; there’s anger and disgust in these half-dozen tracks, but it unfolds slowly and sinuously. The python stirs in its cage and moves with mesmeric intent, coiling around you and pinning you down. No way out – you’re trapped here in the Reptile House. I’ve been here twelve years, and – no. That’s a lie. You never get used to it. via Game Changers: The Reptile House EP | COREHAMMER. A fantastic perspective – thank you. The Sisters eclipse even Joy Division as The Blogging Goth’s primary muse. 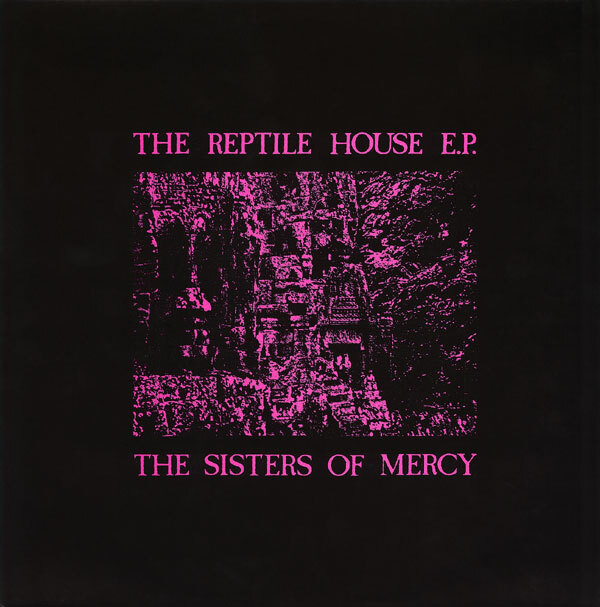 This is a proclamation in favour of their most standout EP, the legendary Reptile House. Unexpected reblog of my Corehammer piece on The Reptile House EP and why it’s the best thing ever. Good things happen sometimes! As a black clad, angst prone 17 year old this was a massive game changer for me. Suddenly my adolescent demons had something to relate to, to dance with and to perform unspeakable acts with. Still in my all time top 10. I bought this after someone played me the newly released ‘First & Last…’ album…which I loved. This has always left me cold. It’s stark, bleak, whatever words you want to use, but I guess I need more substance. Not to say that it’s insubstantial; I mean melody, hooks, whatever. I don’t think I’ve ever been in exactly the right frame of mind (either artificially or in the natural course of things) for my brain to translate this properly. I’m glad it’s there if I want it, but really for me it’s on the periphery of the Sisters’ recorded works…along with the ‘Damage Done’ single and the Sisterhood album. BUT…I enjoyed your post.